This golf community is located right in the heart of the golf course and is open to the public. Most of the residents here are retirees aged 55 and above who live active lifestyles. The community offers lots of amenities for its active residents such as swimming, tennis, walking trails, shuffle board, and many more. Located between Lake Gibson and Interstate 4 in North Lakeland, it is hard not to notice this beautiful golf course while driving along Carpenter’s Way. The golf course boasts of rolling fairways, strategically placed bunkers, beautiful waters, and vibrant Bermuda green. There are many subdivisions within the golf course composed of single family homes, town homes, villas, and luxury homes. Rated par 70, this golf course gives any type of golfer, whether beginner or pro, a challenging game. 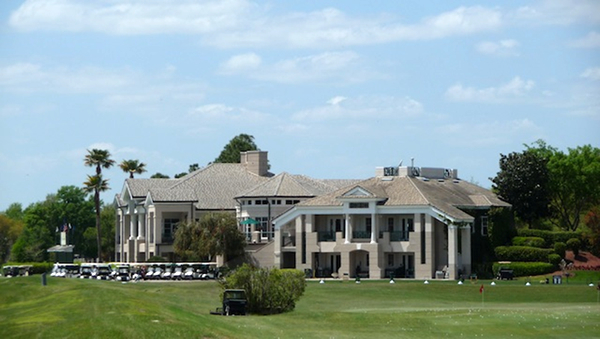 This gated community in North Lakeland has an 18-hole championship golf course designed by Ron Carl in 1992. The golf course features a driving range and putting green, as well as a fabulous restaurant and lounge serving lunch and Dinner from Tuesday to Sunday. The community has 400 homes and offers amenities such as swimming, tennis, and private access to the lake for its residents. A private gated community home to retirees aged 55 and above who want a great lifestyle at an affordable price. The 18-ole golf course is rated par 56 has a short layout which provides a fun game for all ages while enjoying the beautiful views of the rolling hills and well-kept fairways Other amenities offered here are tennis, heated pool, shuffleboard, and a fitness center. Located amongst 2 golf courses over 1,000 acres of private land, this is a gated community in North Lakeland which is home to an active adult population of 55 years and above. This is a resort-style community with large cypress trees, lush landscaping, beautiful lakes and quality crafted manufactured homes. The golf course has a driving range and putting green located near the luxurious clubhouse. On-staff golf professionals are available for private and group lessons for beginners to pros. Located right next to BridgeWater Community, this golf course opened in September 2007 as a semi-private club. This 18-hole golf course sits on 180 acres of land and has challenging bunkers that are 12 feet deep. Rated par 71, it has 5 sets of tees for golfers of all levels. The community of BridgeWater also offers other amenities such as swimming, fishing, canoeing, tennis, basketball, fitness, and many more. With Highland Homes and William Ryan Homes adding more single family homes to the community, this is the perfect place to raise a family. This community is located in the center of Oakbridge, which is the most in-demand address in Lakeland. The communities of Oakbridge and Grasslands have 14 neighborhoods with an assortment of homes, condos, town homes, villas, and executive homes, as well as custom-built luxury homes. There is definitely a home to match any type of lifestyle. The Scottish style PGA level golf course was designed by Jerry Pate and Cupp in 1990. Rated par 72, this 18-hole golf course was restored in 2008, with the greens converted into ultra-dwarf Bermuda grass and the tee boxes and bunkers were rebuilt. This golf course is located inside a gated community in South Lakeland. Designed by Ron Carl, the Eaglebrooke golf course is rated with 4 ½ stars and is considered one of the best places to play, with its shimmering lakes and multi-level greens and rolling fairways. The community of Eaglebrooke is one of the biggest gated communities in Lakeland and offers a variety of sizes of single family homes and custom build luxury single family homes made by famous custom builders.